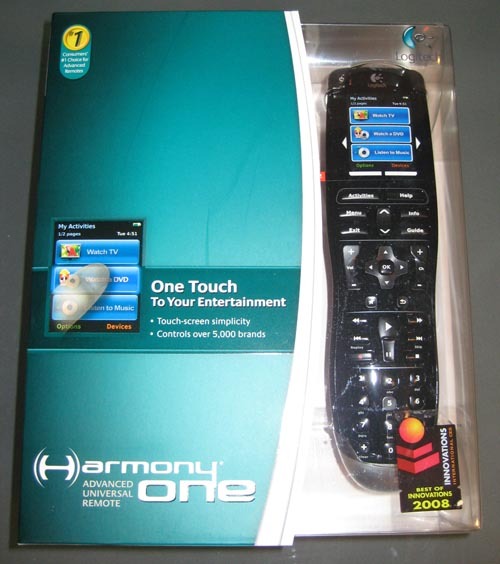 Thanks to the generous folks at Logitech, I am giving away a Logitech Harmony One Advanced Universal Remote to one lucky reader of my blog. This is the same model remote I use myself to control dozens of broadband-enabled devices in my home and as far as I am concerned, it the best remote on the market today. To enter the drawing all you have to do is leave one comment on this post with a valid e-mail address and I'll pick one lucky user at random at the end of the month. Drawing is only open to those with a U.S. mailing address. A big thanks to Logitech for the gear. Good luck!